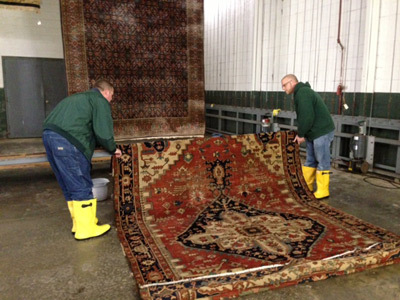 At Lang Carpet we wash and repair the finest most delicate antique Persian and oriental rugs. We can also clean area rugs made of cotton, sisal, wool, and nylon. In addition to our exceptional standard cleaning, we also offer deodorizing, moth proofing, and blocking for rugs that need more specialized attention. We will care for your rugs as if they were our own and restore them to their original beauty. 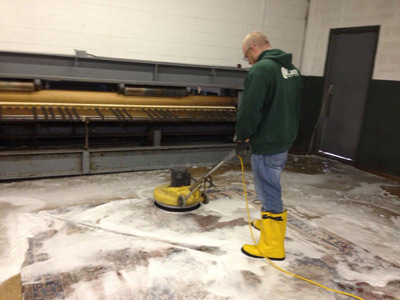 Lang Carpet offers pick up and delivery services for your area rug cleaning needs. For more details or to schedule an appointment give us a call at 302-655-1533. We offer a 20% discount on the cleaning of your rugs when you bring your rugs to our facility and pick them up. 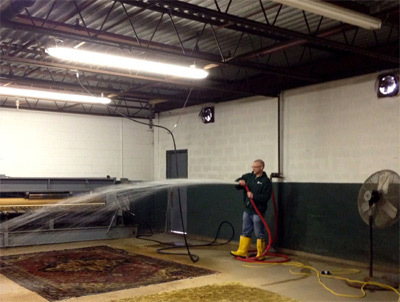 When you bring your rugs to our cleaning facility, we are always happy to help you get them out of your vehicle. Our team of carpet cleaning experts will care for your carpeting with professionalism and experience. With the newest truck-mounted cleaning equipment available, our team will restore your carpeting. In addition to our standard steam cleaning, we also offer deodorizing, and teflon soil retardant treatment for areas that need more particular care. Call us today to schedule your in-home carpet cleaning. Lang Carpet offers over 100 years of oriental and handmade rug restoration, including reweaving of fine antique rugs. Don't see your desired repair service? Contact us with questions or inquiries about our other repair services available.